I noticed this feature at the LA Times website this morning showing off some of the "best LA Times photos of 2009". I swung by and checked it out and thought you might enjoy looking back over 2009 with the help of these photos. I found it hard to pick a favorite. Some are poignant, others cute, and some just damn funny, such as the Hollywood Blvd Spiderman being arrested. 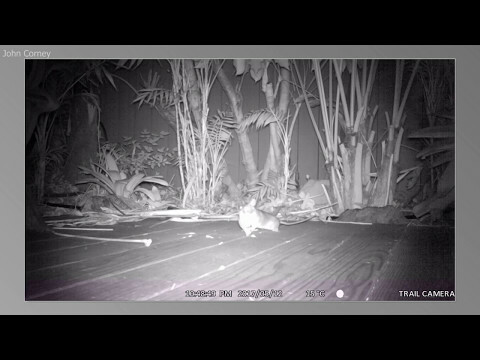 Caught at last! 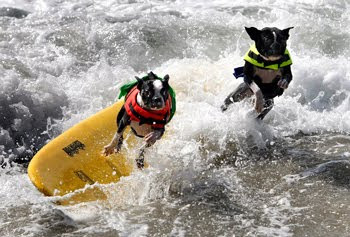 But I decided to use the LA Times picture of the surfing doggy-dudes that accompanied their story about the dog-surfing charity event at Huntington Beach this past summer. Anyhow, check it out and consider commenting below on which is your favorite. (Note you must be on the actual url for this post to see the comment option.